looks like FS1 is gonna air it. To keep it 100, the prime motivation for employment is the dollar bill. The base salary for BIG3 draft picks is 100K. 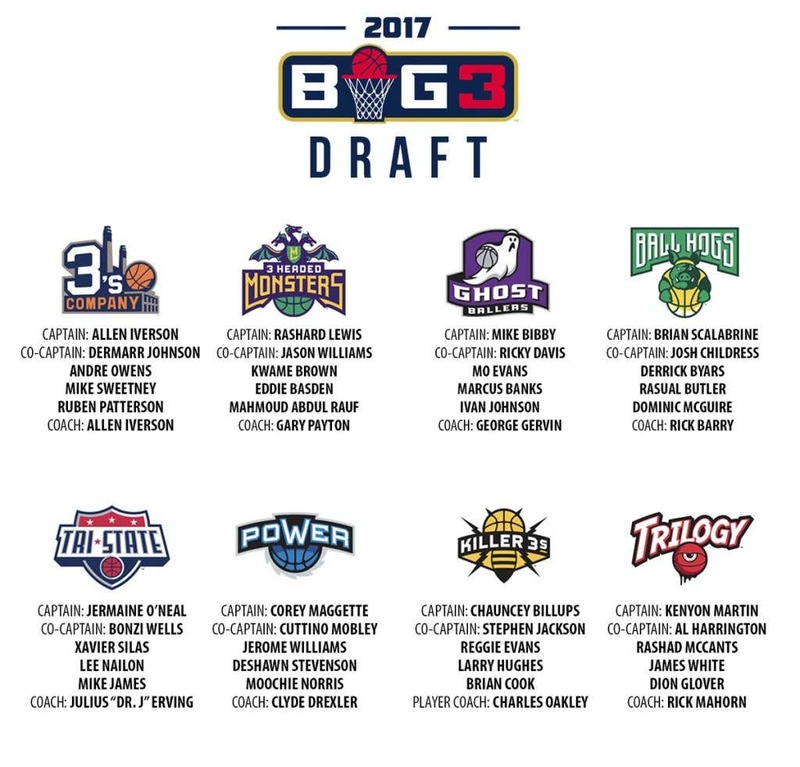 Additional incentive is that 52 percent of all BIG3 profits go to the eight teams. The first place squad will receive 30 percent of that pot, the 8th place team, the least. Less than half of the 70 players at the combine made consistent millions during their professional career. A 13-year pro like DeShawn Stevenson—now a member of the Power team—still looks like money. Lee Nailon, a standout at Texas Christian University and NBA journeyman, came looking for a check. "I'm not even gonna front," he says, after being drafted to Tri-State. "It was the money. I got two kids graduating from high school, so this will help me get them a graduation gift." The last thing Ice Cube wants is for BIG3 to be perceived as the rescue shelter for players the NBA took to the shed. The NBA Development League was created to be an incubator for talent, and later an answer to the influx of kids leaving college early. Fact is, today's D-League is viewed by plenty as the land of the Not Good Enough. The BIG3 execs don't seem worried. They're banking their success on a few things: First is a television deal with FOX Sports 1 that will air a BIG3 quadruple header on June 26 and the seven succeeding Mondays. im a full season subscriber, thx! Looks slightly less synthetic than American Gladiators or X Games, but it looks like just a different vein in the same mine. Wait until you see the uniforms. im def not into any of the teams branding so far (outside of the trilogy). I imagine the jersey are gonna be those super shiny and unflattering ones, hoping not tho. For people wondering why these games aren't being shown live: This first game is on pace to last more than an hour. There are 4 games today. This is prob a good idea tbh, at least to start. Jason "White Chocolate" Williams appears to have suffered a leg injury in the first ever @thebig3 game. Limped off floor to locker room. In the final game of the day, well over five hours after they began, Kenyon Martin pulls up with what looks like a minor hamstring injury. it was kinda sloppy play, tho had some good dramatic moments. the lack of athleticism is pretty glaring. it's to be expected, these guys are 15+ years past their primes. they need to get those more recently retired guys for sure. KG, Shaq. Reassemble some old crews. reignite some old rivalries. problem is i think the only guys who are doing this are guys who need the money. He was great in the Big 3 last season. His game barely aged. Do the captains play in this league? been lightly watching this recently and it's really fun tbf. i love that one and the trilogy one.